There have been a number of surveys, studies and research papers published recently which all paint a picture of what life is like at sea. So, what are the things which matter most to seafarers today? Let’s explore the latest feedback from the sea, this time we look at the positives. During the recent Day of the Seafarer, the International Maritime Organization (IMO) started a debate on what it was like to have a good time at sea. What does a positive day onboard ship feel like and what does it consist of? 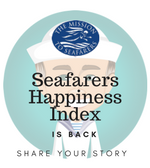 There is so much talk about negativity within seafaring that it was finally an opportunity to share good news stories, and to think about what benefits come from being a mariner today. The responses to an IMO survey and across social media really captured the great things about being a seafarer. Yes, we know that life at sea is not perfect and there are many things that can and should be improved. However, when it comes together just right – being on a ship can still be the “best office in the world”. So, what are the things which make seafaring great, and which make going to sea still seems so cool? Ok, so that is a very cheery and best-case scenario view of being a seafarer. However, it is great to know that there are so many parts of working at sea which can provide such positives. Not every seafarer would get to experience all those highs. Let’s face it no job is perfect. What can you do though to make the best of things at sea if your ship, company or crew are not as wonderful as those suggested in the recent studies? Take Pride in Your Space and Appearance: From your cabin to working gear, you can look the part it will make you feel better. Whether you work on the bridge, deck, machinery space or galley – making your spaces shine will inspire you and others to excel. Talk to Your Boss Regularly: Whether the Chief Mate, Master or Chief Engineer – ok, so your boss may not be the friendliest person in the world, but most people who are in charge tend to have a decent level of passion for the place they work in. When work is hard and taking its toll, try and refresh by seeing things differently. Engage with people and understand what they think and see. You might be surprised. Take a Wider Interest: Time at sea doesn’t really allow much opportunity for pastimes anymore. Getting enough sleep can be challenge enough. But, it can be hugely beneficial to try and find aspects of the job which really interest you. 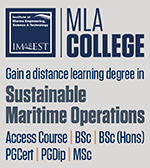 Do you enjoy the maths of navigation, the legal aspects, or how the environmental rules work? Taking a deeper interest can really help. Taking Control: You have your watches to stand, or your responsibilities. There is little you can control about that. However, stick to working hard and accomplishing what’s in your power to perform. Doing this consistently can take the stress away and will make you feel good about yourself. Look Out for People: Be that person who cares about others. Someone new has joined the ship? Take a few moments to say hello and help them settle. Being the one who can make a difference for others can make a difference to how you feel too. Learn as Much as Possible: Soaking up information and wondering how it all fits together is a great way to break the monotony of a job you may be struggling with. Some of the most successful people in shipping have spent time thinking and wondering about how things could be done differently. From Jaques Saade who founded CMA CGM, to Malcom Mclean who got bored with his driving job and thought containers would work better for moving cargo. Be inspired by your own thoughts and knowledge. Come Up with Ideas to Make the Ship Better: Use your energy for coming up with ideas about the ship, and how it can be better for people onboard. Do you want activities, a BBQ, karaoke, basketball? If you don’t suggest it, you can’t expect it. Put Some Fun Back into Life: Playing games and having inside jokes with is a great way to keep up your morale during a stressful day. You could even make playlists of favourite music. Movie nights or even book clubs. 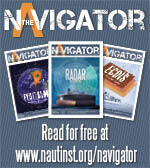 Be imaginative and try and see past the mundane times at sea. Be Grateful That You Have a Job: Ok, controversial, but it could be worse. Always remember that some people would beg to have your job and a chance for a career at sea, so don’t take it for granted. Sure, it may not be perfect or what you want to do for the rest of your life but focus on what you can do in the present to make your job matter, to make it better, and to try and enjoy it. Every trip could be your last, so live it and live it well. Listen to loved ones: If they are ok, then you should be. Let them tell you how proud they are of you, and how important your work is. When they stop, then it is time to think again – but until then, appreciate just how important it is to be a seafarer.